Shirley Ann Jackson born August 5, 1946) is an American physicist, and the eighteenth president of the Rensselaer Polytechnic Institute. She received her Ph.D. in physics at the Massachusetts Institute of Technology in 1973, becoming the first African-American woman to earn a doctorate at MIT in nuclear physics. 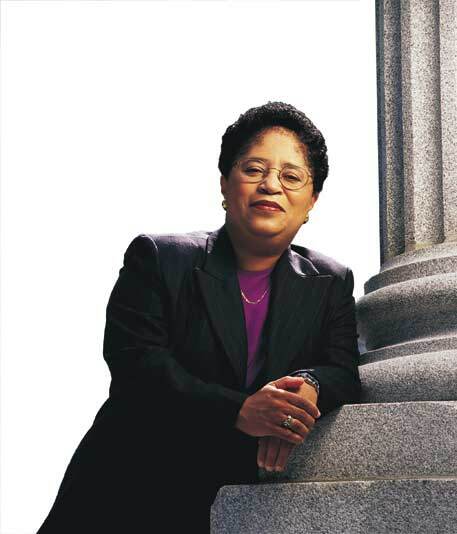 Dr. Shirley Jackson was the first black female to receive a doctorate from the Massachusetts Institute of Technology (MIT), and is the first black female president of a major technological institute (Rensselaer Polytechnic Institute). However, she also has a staggering list of inventions to her credit. Her experiments with theoretical physics are responsible for many telecommunications developments including the touch tone telephone, the portable fax, caller ID, call waiting, and the fiber optic cables that make overseas phone calls crystal clear. Posted in Inventors & Their InventionsTagged Abundance, africa, African, African American Inventors, Afrikan, amazing, awesome, black, Black Inventions, Black Inventors, Black Inventors & Inventions, creative, dreams, Education, goals, God, growth, happiness, happy, inspirational, inspire, joy, knowledge, learning, Life, love, Motivate, motivation, motivational, Peace, positive, Prosperity, spiritual, success, teach, teen, teens, wealth, wisdom, wise, words, youthBookmark the permalink.